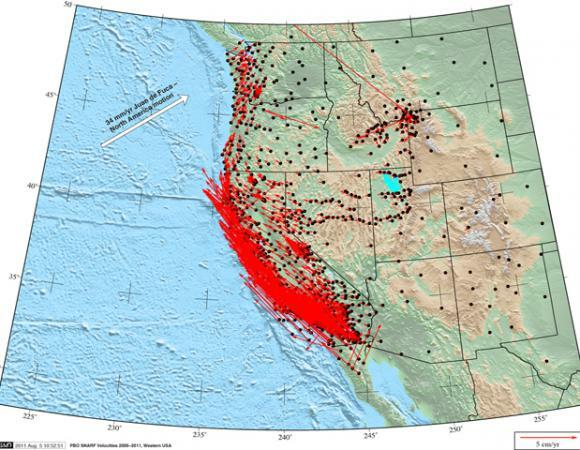 UNAVCO has released a new realization of the Plate Boundary Observatory (PBO) network GPS velocity field, reflecting data acquired through May 2011. The new velocity field is available as separate files in both the IGS08 and SNARF 1.0 reference frames, accessible at GPS/GNSS Data at UNAVCO. A portion of the velocity field is plotted in the Figure. 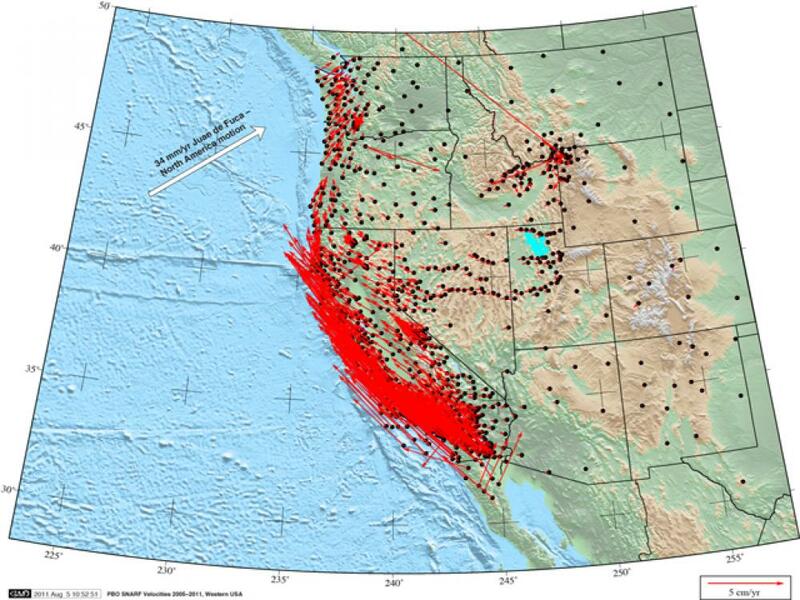 The PBO velocity field is produced annually by the PBO Analysis Center Coordinator at MIT using daily position data provided by Central Washington University (using the GIPSY package) and the New Mexico Institute of Mining and Technology (using GAMIT).